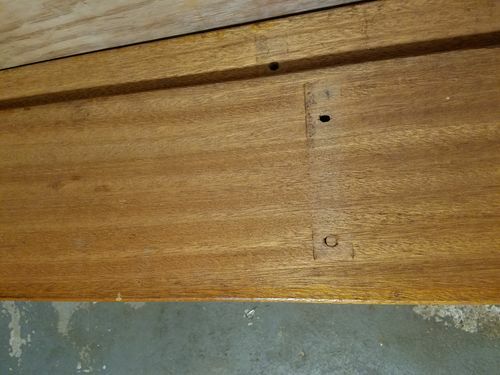 Help..What type of Mahogany is this? 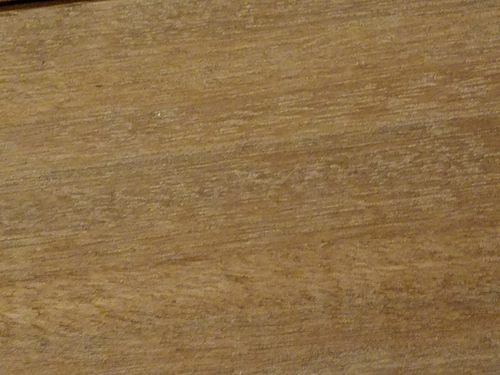 I was given a scrap piece of Lauan that looks like that same light colored mahogany. However don’t put any money down on it. I’m not an expert on mahogany I’ve got maybe 6 pieces. 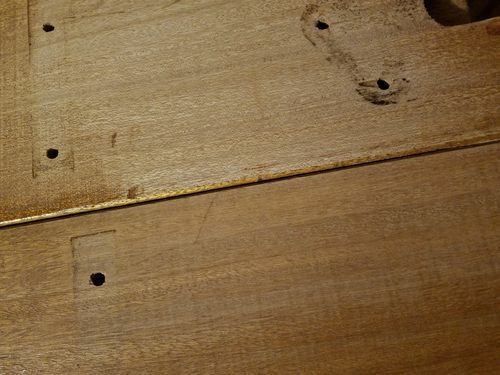 Cuban Mahogany, Swietenia mahogani (genus and species names), the Wood of Kings, has been among the most prized and valuable timbers since the late 16th century. This mahogany species is the wood that planked the ships of the Spanish Armada. Famous furniture builders Thomas Sheraton, Thomas Chippendale, and Duncan Phyfe chose Cuban Mahogany for their fine furniture. In fact, as the reputation and demand for Cuban mahogany grew, the supply of wood shrank. By 1629, supplies in Cuba and surrounding islands dwindled so much that the Spanish began moving their shipyards to Mexico where trees were still available. As timber harvest methods became more sophisticated, even the “inaccessible” trees became lumber. By the mid 1700’s, Cuban mahogany was becoming quite scarce. By the mid 1800’s, good lumber was becoming rare. By the late 1800’s, the species had been logged into genetic impoverishment and commercial extinction. Today there are still a few trees, but they are extremely rare and should not be used as such usage will encourage harvesting and the ultimate end of this species. Other historic common names for Cuban mahogany are Caribbean mahogany, West Indian mahogany and Santo Domingo mahogany. 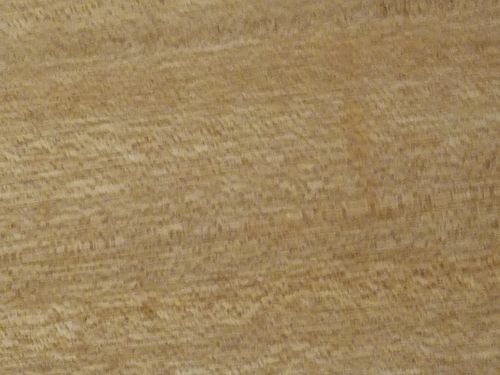 Honduras Mahogany: With the dwindling supplies of Cuban mahogany, a close relative, Honduras mahogany (Swietenia macrophylla), called genuine mahogany, big-leaf mahogany and true mahogany today, became the desired species. The tree ranges from Southern Mexico southward to Colombia, Venezuela, and parts of the upper Amazon and the Amazon tributaries in Peru, Bolivia, and Brazil. This wonderful wood has been severely harvested (both for timber and to create pasture lands) so supplies from natural forests in many areas are limited or unavailable. With restrictions on the sale of lumber from this species in some countries, when land clearing occurs, the trees will be burned rather than harvested. However, plantations have been established both within and beyond its natural range; these plantations promise some of this wood for the future. This wood has many different names, including names in English, French, Spanish, German, Portugese, and other European languages. Some of the English names (and the countries that use the name) include Honduras mahogany; American mahogany, baywood; Belize mahogany, Brazilian mahogany, British Honduras mahogany (USA); broad leaf mahogany (Virgin Islands); broad-leaved mahogany; broken ridge mahogany (Belize); Central American mahogany (Virgin Islands); Colombian mahogany, Costa Rica mahogany, Costa Rican mahogany, Guatemalan mahogany, genuine mahogany (India, Jamaica, Puerto Rico, USA); mahogany (Belize, India, Jamaica, Puerto Rico, USA); mahogany tree, Mexican mahogany, Nicaraguan mahogany, Panama mahogany, Peruvian mahogany, South American mahogany, Tabasco mahogany, true mahogany and Venezuelan mahogany (Jamaica, Puerto Rico, USA). Special note: Consumers can support mahogany conservation by buying mahogany products that carry the Forest Stewardship Council (FSC) trademark, which certifies that the wood comes from forests that are managed in accordance with FSC’s internationally endorsed principles and criteria. Companies using FSC’s logo on wood products have demonstrated that the timber used in their products is harvested in an ecologically and socially responsible manner from well-managed forests. African Mahogany: African mahogany is in the Khaya genus. It grows in central Africa from the western coast, eastward in a broad band. 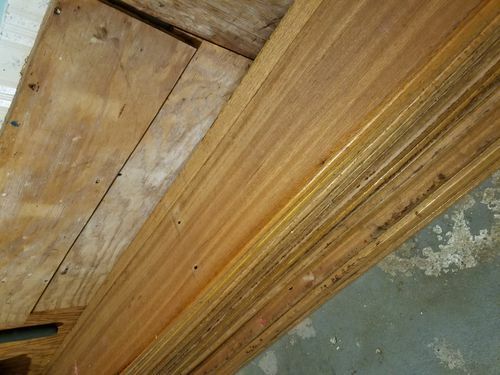 The two commercial lumber species are Khaya ivorensis and K. anthotheca. Two other species that are not commercially important are K. senegalensis and K. grandfoIiola. This is certainly an excellent wood and is quite similar to Honduras mahogany in many ways. All these species have many local names. Harvesting over the past centuries has again limited the supplies of this species for the future. I’d say lauan also, though I am no expert. I did a good sized project for some friends using Hawaiian mahogany, and though it was rather dull in the raw, it was gorgeous when finished. 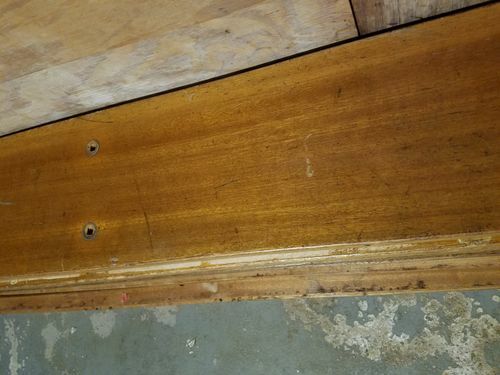 Depends on age, I have some 50-60 year old Philippines mahagony that looks exactly the same, came from an old built in book shelf in a house that was being renovated! Crazy stuff, grains switch all over the place! Lauan, I’m sure enough to bet.